Sixty-thousand light-years from Earth, the corrupt Terran Confederacy holds the Koprulu sector tightly in its tyrannical grip, controlling every aspect of its citizens' lives. One man dares to stand up to this faceless empire and vows to bring it to its knees: Arcturus Mengsk -- genius propagandist, tactician, and freedom fighter. A monstrous act of bloody violence sows the seeds of rebellion in Arcturus, but he is not the first Mengsk to rail against such oppression. Before Arcturus grew to manhood, his father, Angus Mengsk, also defied the Confederacy and sought to end its brutal reign. 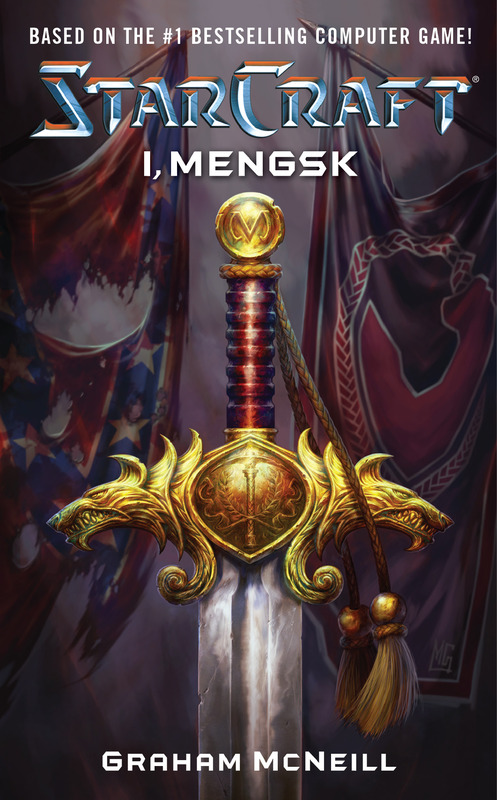 The destiny of the Mengsk family has long been tied to that of the Confederacy and the Koprulu sector, but as a new empire rises from the ashes of the past and alien invaders threaten the very existence of humanity, what will the future hold for the next generation...? Graham McNeill has written more than twenty novels for Black Library. His Horus Heresy novel, A Thousand Sons, was a New York Times bestseller and his Time of Legends novel, Empire, won the 2010 David Gemmell Legend Award. Originally hailing from Scotland, Graham now lives and works in Nottingham.